When Keyne Monson, Baxter vice president, market development, and his wife Kirsten visited India for the first time together in May 2010, they were overcome by the intense poverty they witnessed. They met many people who possessed impressive skills for creating beautiful and useful items, but faced challenges. Some were living with disabilities, had difficult access to markets, or were located in distressed areas, which limited their opportunities to sell their quality goods. Together, Keyne and Kirsten created a website and non-profit organization, Elevita, to help alleviate poverty worldwide by creating economic opportunities for under-privileged people in developing countries by bringing their skills and creations to market. Over the past four years, Elevita has enabled more the 500 artisans to earn an increased income, which has had a ripple effect on their families and communities. Keyne and Kirsten are helped by a group of unpaid volunteers and advisors, including their six children, who range from ages 17 to two years old. "It's amazing how many people are willing to engage once they catch the vision of what we are doing," say Keyne, who in his day job, works on business model innovation projects that help advance access to healthcare for people in developing areas of the world. "We're convinced that if more people were simply aware of and exposed to the extreme poverty in which the majority of the world lives, there would be a lot more focus on trying to lift under-privileged people out of poverty in a sustainable way." Any profits are donated to humanitarian projects, particularly in education. Proceeds have helped fund projects such as a hostel where rural girls in Rajasthan, India can stay safely while attending secondary school (planned to help 200 girls each year for four years); scholarships through a partnership with BELIEVE to five girls in the Philippines so they can attend both secondary school and college (total of eight years education); purchasing sewing machines for women in Cambodia so they can become self-reliant; and purchasing an industrial oven in the Philippines that allows dozens of local women to bake capiz shells for creating bowls, frames, jewelry, and other wares. Through this two-fold approach of creating economic and educational opportunities, Keyne and Kirsten hope that Elevita can help countless people in developing counties across the globe. The non-profit now helps artisans or artisan groups in seven developing countries: Bangladesh, Cambodia, Ghana, India, the Philippines, Tanzania, and Uganda. "We believe in the goodness of humanity and in people's ability to respond in times of crisis to help their fellow neighbor, and hope that Elevita can provide a bridge for many people who live in the developed world to meaningfully reach out to others in need," Keyne says. To learn learn more about Elevita's mission, or to purchase goods from Elevita artisans, please visit www.elevita.com. Visiting the boutiques offers the unique experience of seeing and feeling our beautiful products first-hand. We hope to see you there! "Today my mother and I went to her relatives her biological parents side. My mother was adopted at age 3 and she has very limited information about her grandparents and relatives, I ask her to accompany me to search for informations of her deceased ancestors. It was a challenging task we have for ourselves. It was a long ride, and hike on a slippery and uneven road and hill, I just wasn't able to take pictures some of the scenery..We met the wife of my mothers cousin, we ask information and then proceed to another area, then we meet my mother other cousin, she works as a house help, so we just sit outside the house while I ask her names of their ancestors, since we are not allowed to enter her employers house..I am very grateful that I have names now, although its not many but the opportunity to meet my aunties for the first time make me happy and also my mother...although my money for the fare is very budgeted, but my mother and I are able to come home, and we even bought snacks for the children. I spent money in searching my ancestors but the happiness my mother and I felt can never be bought or exchange in any material things. 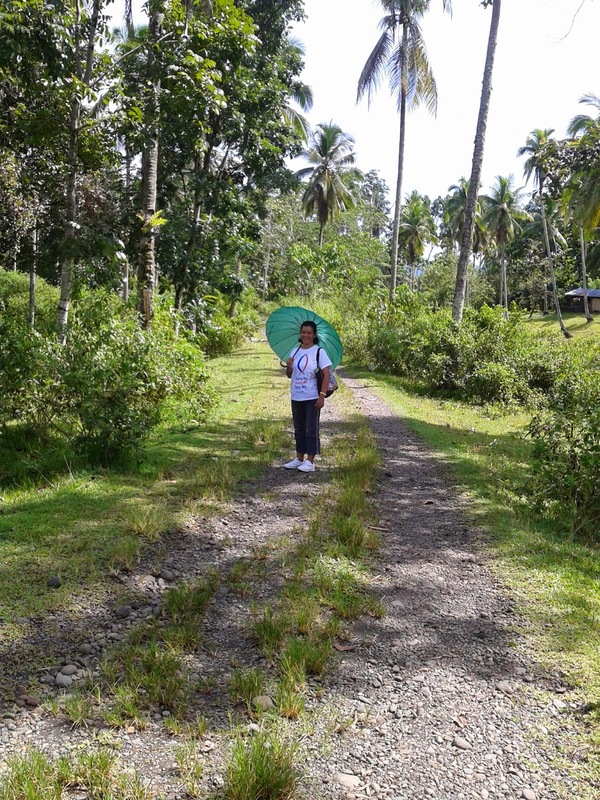 Glad for the technology, we have access now with our relatives through txt message..I attached photos sister about our adventure this morning.. :)"
This is just one of many examples of how Elevita is improving lives worldwide. It is always humbling to get a glimpse of what our artisans lives are like. It provides the inspiration for Elevita to keep doing all that we can to encourage them in their efforts and enterprises to improve their economic situation and to provide educational opportunities for their children. Elevita is indeed privileged to work with our hard working and entrepreneurial Cambodian Artisans. These beautiful ladies of Phnom Penh have created an organization called Khmer Creations in an effort to liberate themselves from domestic violence. Though they appear happy in their craft, their lives outside this shelter are laden with tragic stories. 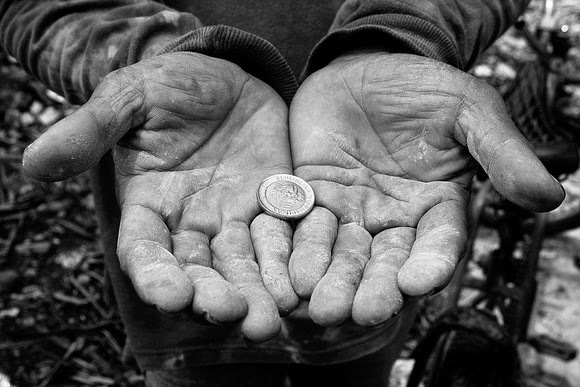 They each hope to sell enough of their work to become financially independent, which will enable them in turn to free themselves from difficult circumstances. The beautiful work they create is truly amazing! 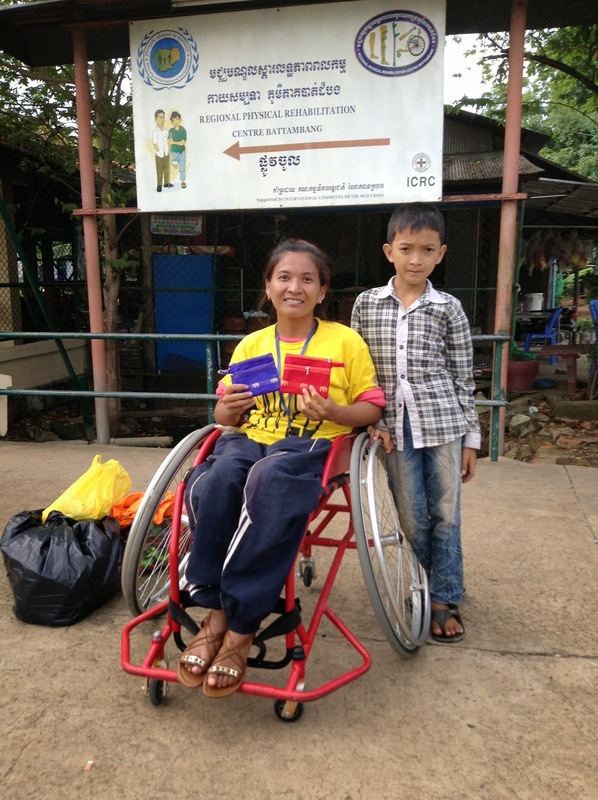 Sok Chan is a Cambodian woman whose handicap restricts her to a wheelchair. Even with this restriction, she uses native fabric to sew beautiful purses and wallets as a way of supporting her 10-year-old son, Siv Hoa. Sok Chan is very grateful to be an Elevita artisan, as this gives her the possibility to be self-reliant. In Battambang, Cambodia, there is a lovely group of women who have gathered together because of common economic needs. These ladies come from families who are either very poor or whose parents have HIV/AIDS. These women produce bags of exceptional quality, though they had not had customers for over a year when Elevita found them. Now they are happily employed, very productive and they create some of Elevita's best selling items! "It's summer vacation ... no cares for two months, but I still want summer vacation to be productive so I look for something good to do -- something that makes me productive. I spend my vacation teaching in a summer class. It is really challenging, especially handling students of diverse personalities and interests. This is my first time to be in the field of teaching high school students. I'm striving hard to be able to meet this challenging experience successfully." Darcia understands that if a young woman is educated, her family will be educated. 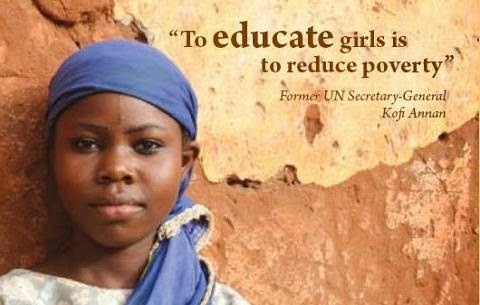 There is a saying, when you educate a girl you educate a village. If she can read and write all her children will be able to read and write. The more educated a woman, the more educated her family, and the more prosperous her community. That is why Darcia wants to be a teacher. Elevita is proud to sponsor Darcia Cardez through Believe International and we salute her for spending her summer vacation teaching others. As devastating as the photo may appear, miraculously, the expensive capiz firing oven was undamaged, and the artisans have been working quickly to rebuild and fill orders. Sadly, the home of Rosalia Doloires, one of Elevita's placemat weavers, was completely destroyed. 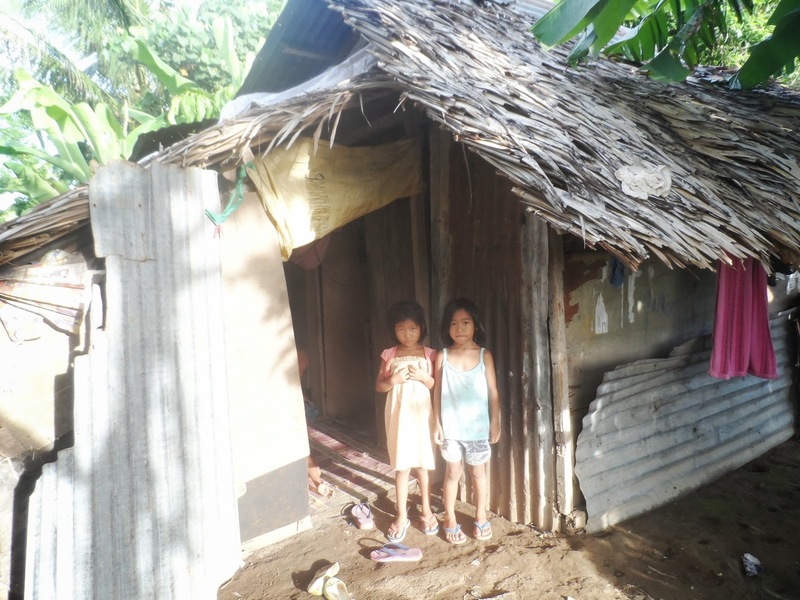 The home was a makeshift dwelling hastily constructed by Rosalia's family after escaping the destruction from Typhoon Haiyan in 2013. 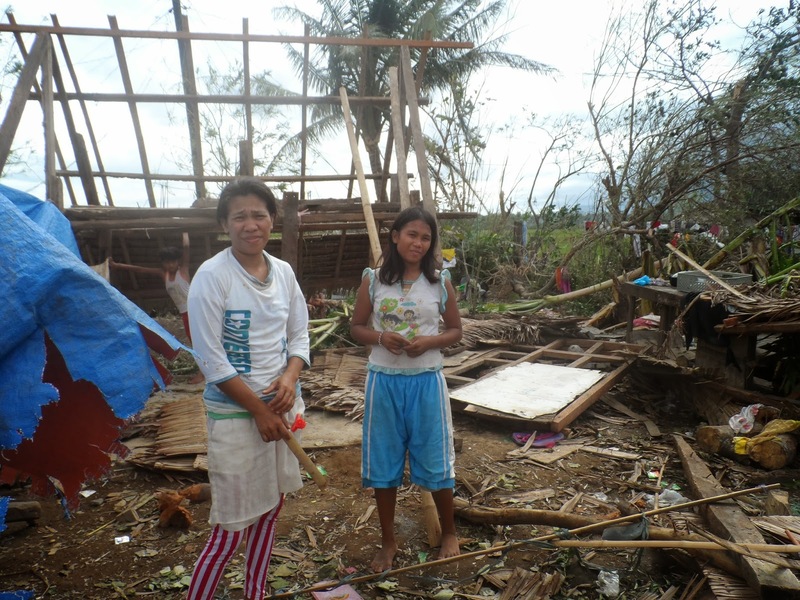 Thankfully, everyone in the family is safe, and they have started once more to rebuild their lives. 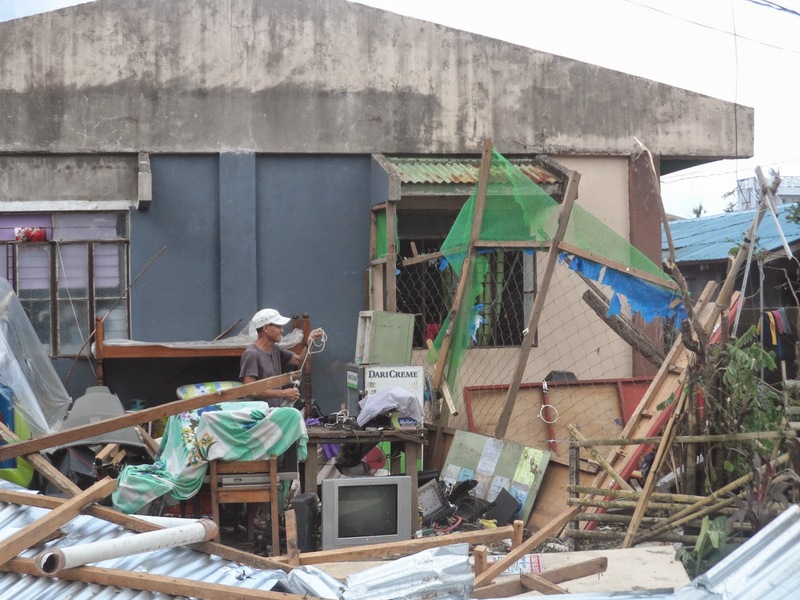 Florita also reports that nativity artisan Jonalyn Hubilla received damage to her roof, and that angel artisan Nina Mena's home was apparently destroyed. Elevita is grateful to all those who continue to support the efforts of these underprivileged families by purchasing their products on Elevita.com. Betty Lou says, "Could you keep offering these cute stars and have them done in green for Christmas?" 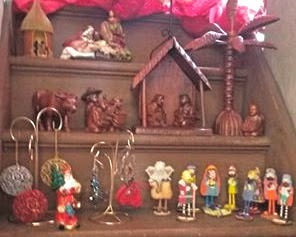 The Opera House Art Gallery, a wholesale customer, put several Elevita nativities on display for a recent walk-through. Beautiful! 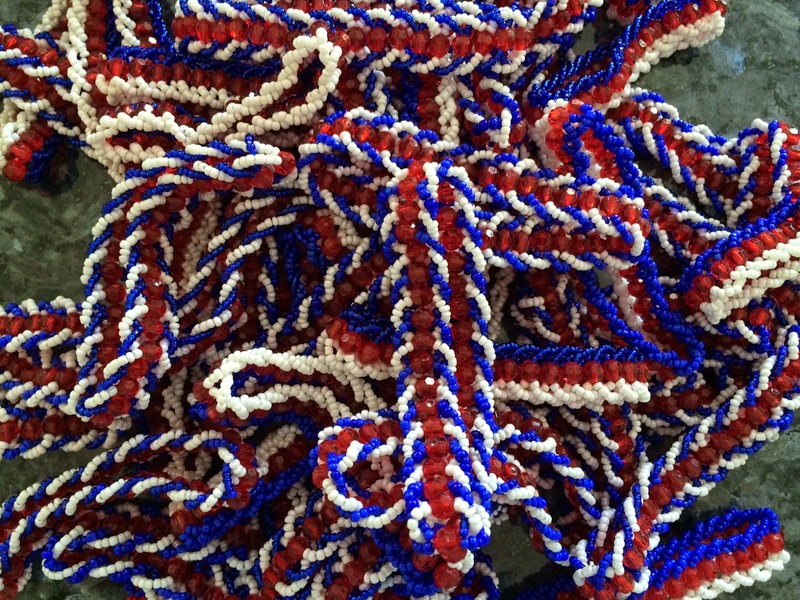 And a family in Utah enjoyed a special order of Irene's beaded bracelets done in patriotic colors for their family reunion. Love them! We love hearing from our customers! Send your Elevita stories and photos to info@elevita.com. It's time for Elevita's annual Christmas in July Sale! 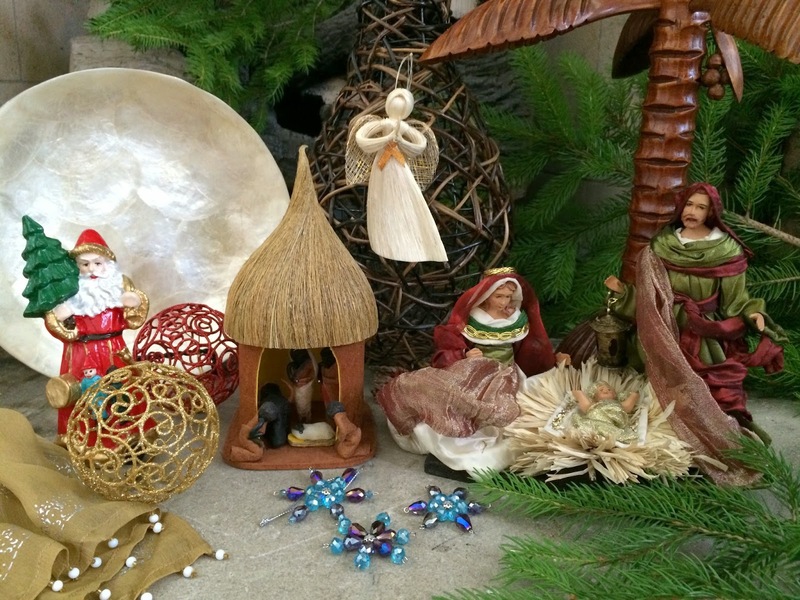 The sale features 10% off all holiday products, including new nativities and ornaments. This is a great chance to give our artisans whose work is seasonal an opportunity for business mid-year. Elevita is also offering a special icicle ornament free with every order containing holiday items. 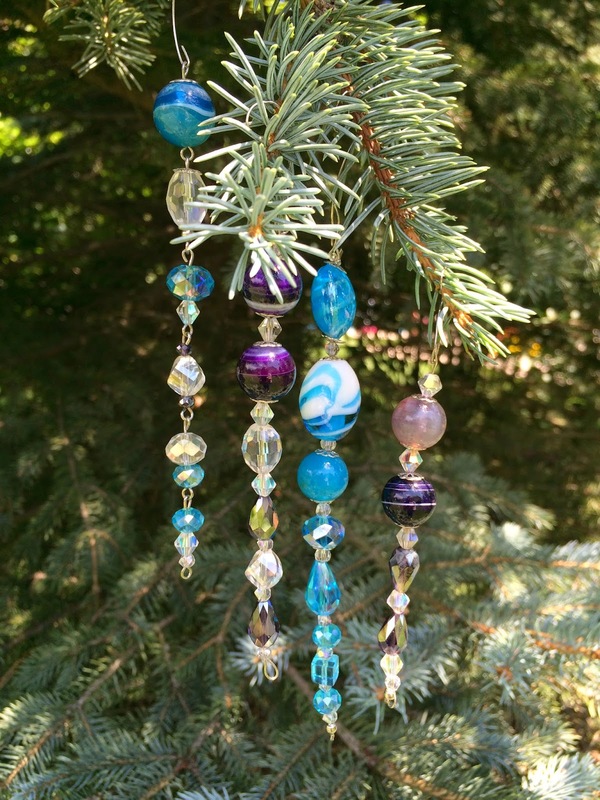 These ornaments are lovingly made of glass and crystal by a cooperative in the Philippines. Visit www.Elevita.com today to take advantage of this special sale! Many of our goods are regularly priced at cost, so this is a unique opportunity. Offer is good through July 31st. We have several new products in our online boutique that we are pleased to introduce. The first two are a result of our partnership with the Support Foundation in Uttar Pradesh, India. The Support Foundation works with people who suffer from mental and physical disabilities. They provide a bridge between these stigmatized students and society by providing vocational and leadership training to help these students create dignified and self-sufficient vocations and lives. 1. 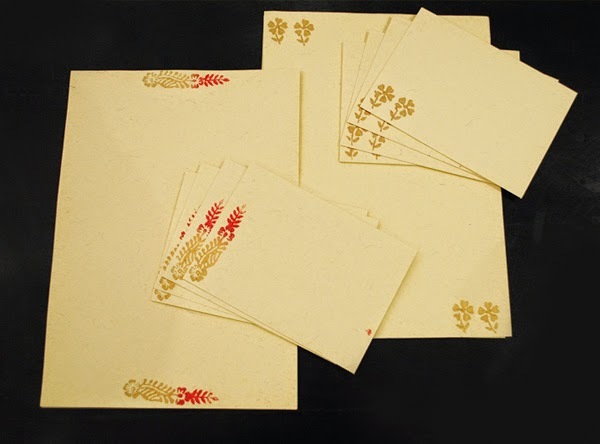 A lovely set of stationery with hand blocked-printed designs on quality handmade paper. Papers measure 6x8" and there are 10 pages and 10 envelopes per set. 2. 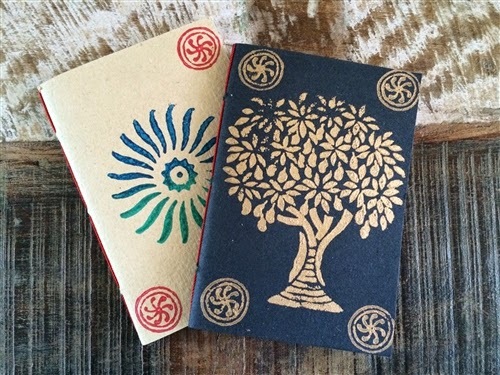 A set of two notebooks with hand bock-printed covers on quality handmade paper. Each book measures 4x6" and contains 30 pages each. 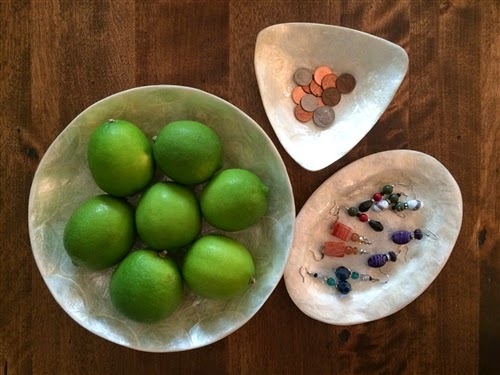 From a new enterprise Elevita has helped start in the Philippines come these beautiful capiz shell bowls. Elevita's Capiz Shell Enterprise is helping provide work and school opportunities for about 20 artisans in need. 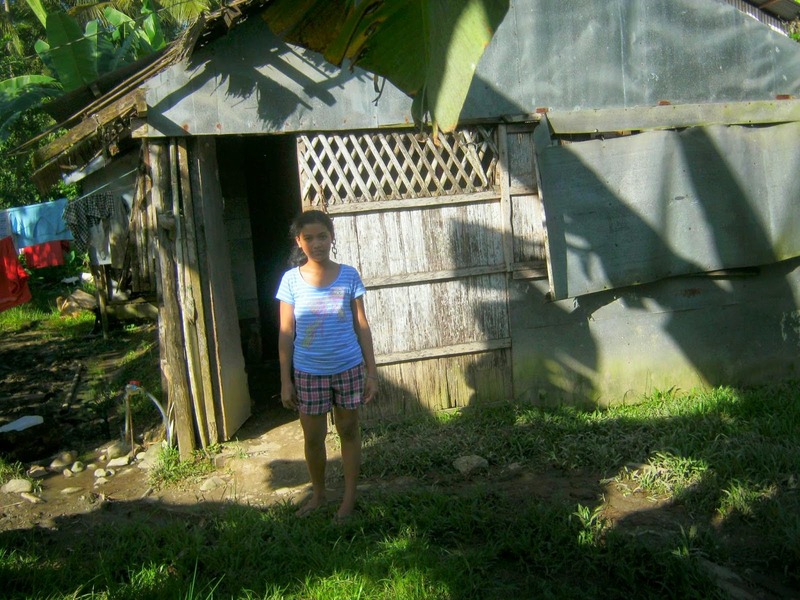 Nina Mena is a mother of nine children, a widow, and has only a 6th grade education. 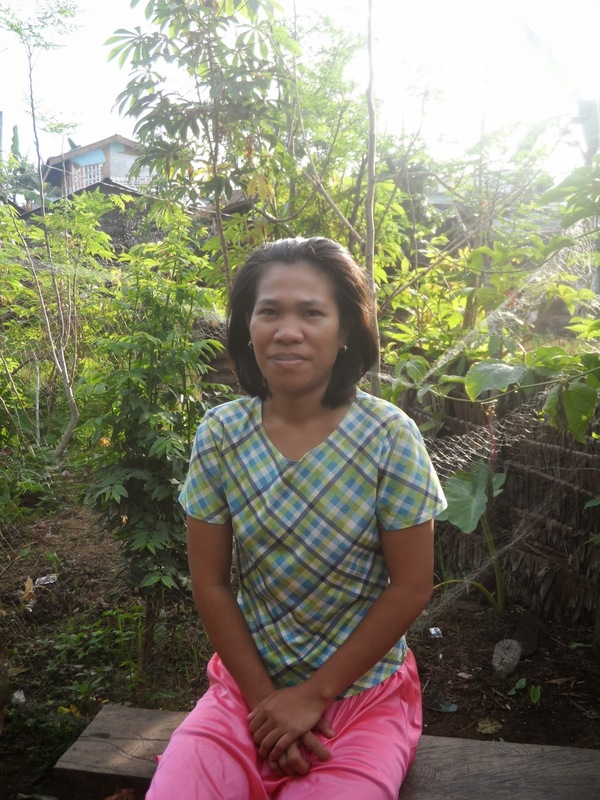 She is also very talented, hardworking, and persevering and has been able to send all of her children to school. Most of her children are married now but two families are currently living with her. Nina makes these beautiful hand-crocheted table runners for Elevita to help support the next generation. Elevita is honored to support these extraordinary artisans and their enterprises. These are all beautifully made products and make lovely gifts for any occasion. 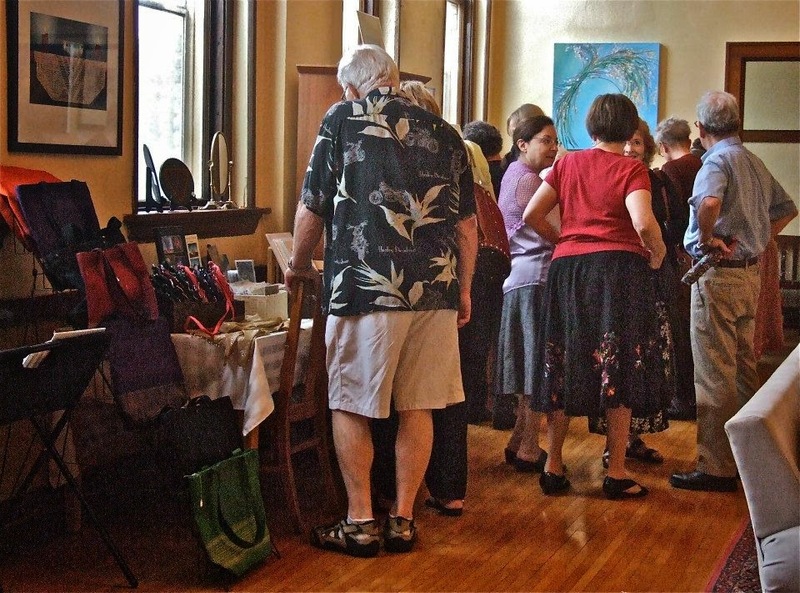 Elevita products were featured at the inaugural opening of the Opera House Art Gallery in Mount Horeb, Wisconsin this past weekend. 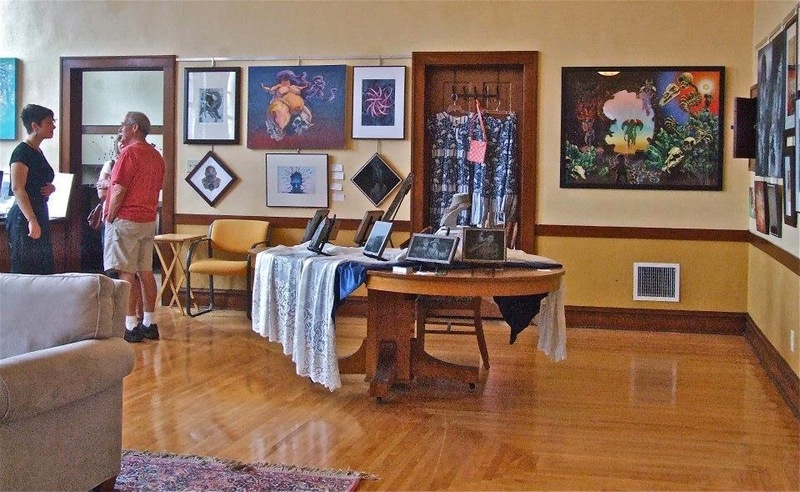 The Opera House Art Gallery features works by many local Wisconsin artists as well as hand-crafted items from the artisans from Elevita.com. It's a perfect combination of local art and international artisans. The Elevita Indigo Skirt and Dress are shown in the background. 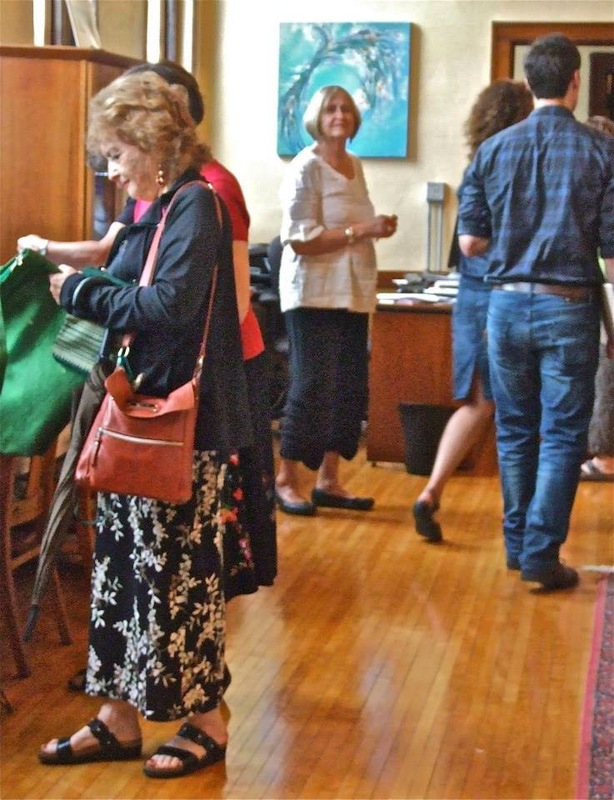 A big thank you to Nancy Howard and the artists of the Opera House Art Gallery for sharing this opportunity with the artisans of Elevita.com. If you are interested in carrying Elevita products in your store, boutique, or event, contact Info@elevita.com and ask about wholesale opportunities. We are excited to introduce some fun new products at Elevita.com with more new products on the way. 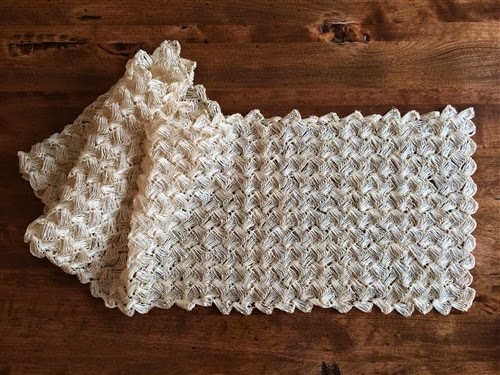 For summer entertaining we have handmade placemats that are carefully woven of natural fibers in lovely neutral tones and are perfect for summer dining. You will find them as versatile as they are beautiful. They are handmade by Rosalie Doloiras, a mother of five children and a survivor of Typhoon Yolanda. 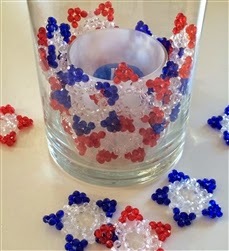 Perfect for the 4th of July or just to add a splash of color to your table, these red-white-and blue stars will bring a touch of festivity to any summer table. Each 2" star is carefully beaded by Rosalie Blanza, one of Elevita's new artisans in the Philippines. 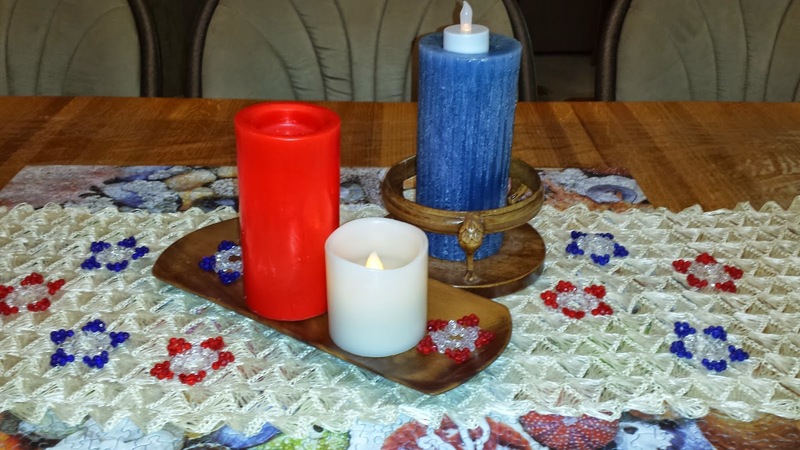 There are five blue and five red stars in every set. 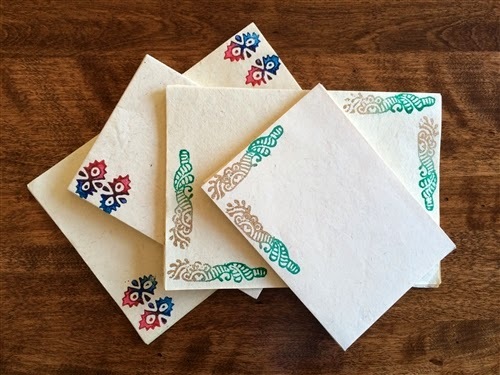 This set of two notebooks feature hand block-printed covers on quality handmade paper. Each book measures 4-6" and contains 30 pages each. They are made by mentally and physically disabled students of the Support Foundation in Uttar Pradesh, India, which works to provide a bridge between these stigmatized children and society. The two notebooks come in a drawstring cloth gift bag, ready for gift giving. This lovely set of stationary features hand block-printed designs on quality handmade paper. There are ten 6x8" pages and ten envelopes per set. They are also made by the students of the Support Foundation. Remember: Free shipping with each order. These are gifts that do a world of good! Operating as an international online boutique, Elevita supports artisans from developing countries in achieving greater economic self-reliance by providing them with a wider world market for their products. Run completely by volunteer management, Elevita is a registered non-profit organization and uses 100% of its sales profits to fund meaningful humanitarian projects, focusing primarily on education. Troubled by the extreme poverty they witnessed while on a trip to India in 2010, Kirsten and Keyne Monson yearned for a way to provide the many impoverished, but highly talented, artisans they’d met with access to a wider market for their goods. They partnered with John and Shelley Hoffmire and decided to create a website which would act as an online boutique. Through the website, artisans can connect with buyers from all over the world, rather than rely solely on the small and highly competitive tourist industry in their local areas. All profits earned by Elevita from goods sold on elevita.com are then reinvested into local humanitarian projects. Committed to paying fair wages to all of its artisans, Elevita purchases its goods at prices set by the artisans themselves. Elevita then sells the goods on Elevita.com as inexpensively as possible, aiming to drive more sales with low prices. As items sell quickly, Elevita purchases more goods from the artisans, empowering them with a growing market and new economic opportunities. One hundred percent of profits earned from the online boutique, Elevita.com, are reinvested into humanitarian projects in developing countries. Elevita is a registered 501(c)(3) nonprofit organization run entirely by volunteers. Working as a volunteer advisory board, Elevita keeps in regular contact with both their artisans and their supporters, providing project updates on their blog, elevita.org. Elevita aims to assist artisans and artisan groups that: (1) have limited access to markets, (2) live in distressed areas, (3) are handicapped or otherwise marginalized, (4) work to educate women and girls. Supporting individual artisans and cooperatives from developing countries throughout Africa and Asia, Elevita’s artisans live in Bangladesh, Cambodia, Ghana, India, the Philippines, Tanzania and Uganda. Elevita’s artisans craft and sell items such as clothing, bags and purses, jewelry, items for the home, nativities and ornaments. Although Elevita’s primary focus is on creating a wider market for artisans living in developing countries, they couple 100% of profits earned from Elevita.com with donations from supporters to carry out various humanitarian projects. Working in partnership with His Highness Maharaja Hanwant Singhi Chartable Trust, Elevita built a Secondary School Girls’ Hostel in Rajasthan, India. With construction starting in October 2013, the hostel will provide a safe place for girls from desert villages to stay while attending school. 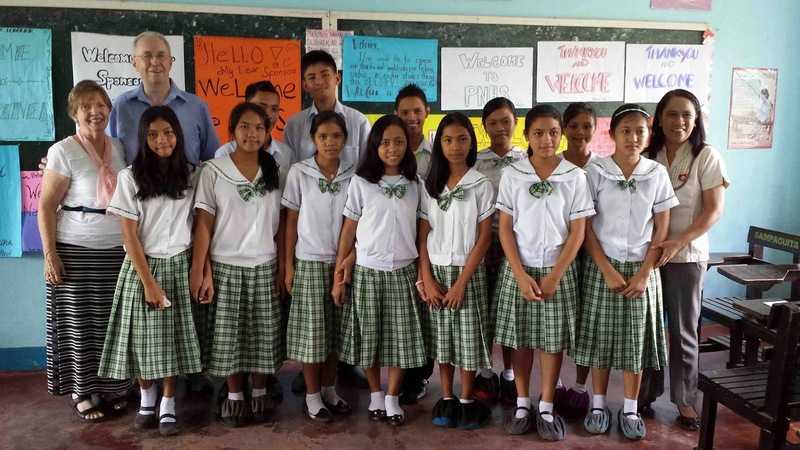 Partnering with BELIEVE International, a local organization in the Philippines, Elevita also provides scholarships to young, motivated Filipino students, allowing them to pay required public school fees. In addition to purchasing goods from artisans, Elevita also provides small grants to promising entrepreneurs to assist them in growing their businesses. 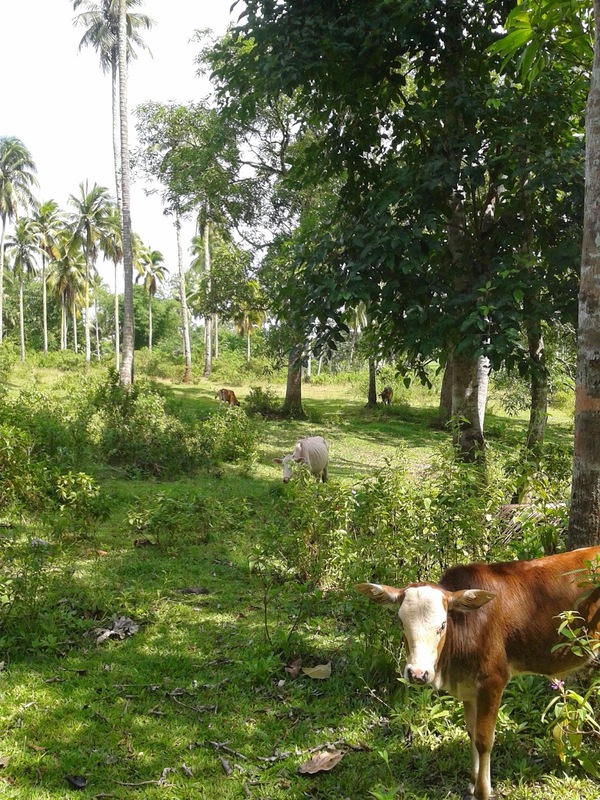 In February 2014, Elevita provided funding to launch a capiz shell enterprise in the Philippines. 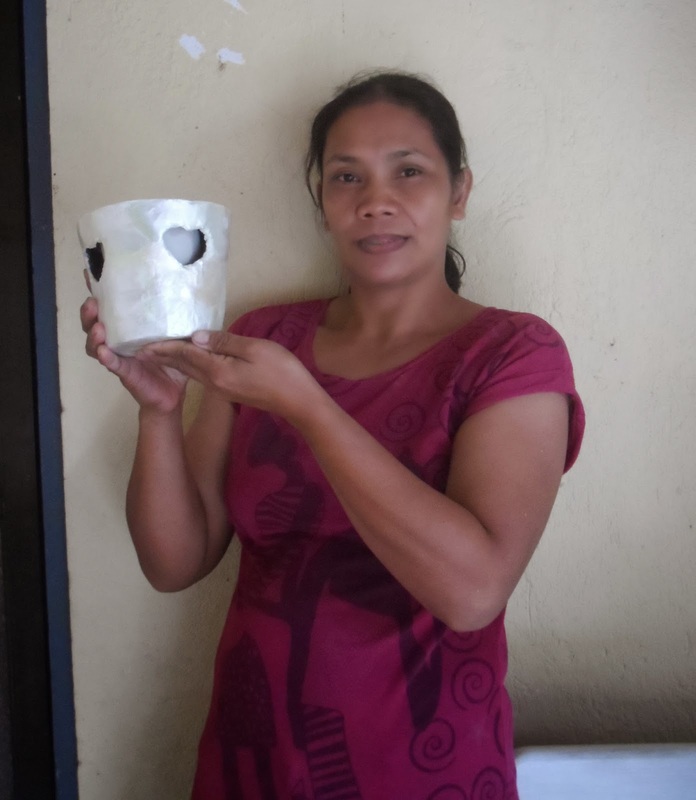 Working with a local entreprenur, Elevita purchased an oven to help dozens of local women earn supplemental income by producing and selling capiz bowls, frames, jewelry and other goods. 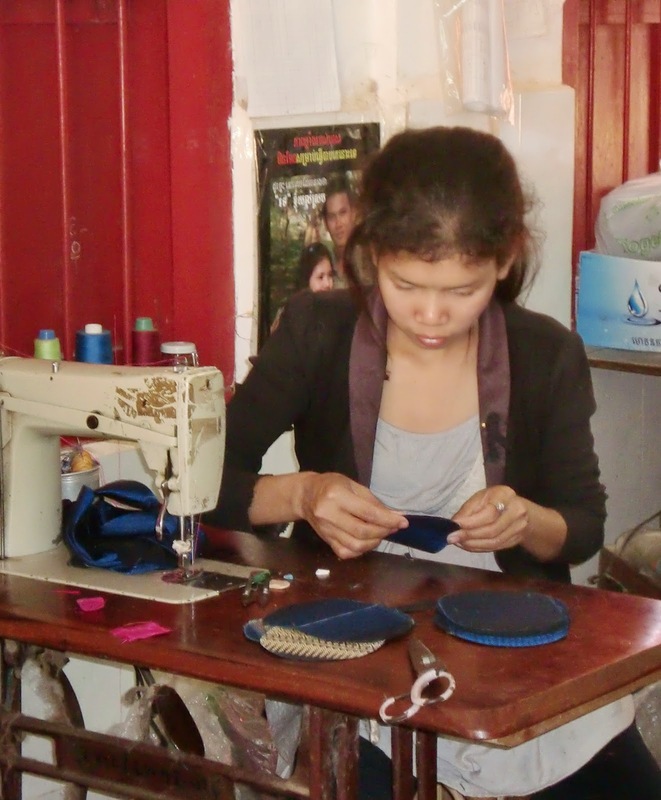 Elevita has also provided funding to a Cambodian women’s cooperative to purchase sewing equipment which would enable the women to have a livelihood. Keyne Monson, co-founder of Elevita said recently in an article for Forbes, "On a weekly basis we receive notes from our artisans explaining how they have food on their tables, electricity in their homes, or children enrolled in school, thanks to the work they have with Elevita.com." He went on to explain that during the past four years, Elevita has helped over 500 artisans by providing income where none or little existed previously. Sometimes this has meant an increase in an artisan's income of over 400% with untold ripple effect -- for artisans, children, who can now obtain an education, food and shoes; for the artisans' community, where the artisans can use their newly obtained incomes to stimulate the contribute to the local economies in which they work; and for the artisans, increased sense of self-reliance, self-worth and fulfillment. "Creativity: Before doing something it should be drawn in your mind. Patience: Required to finish something no matter how hard it may seem. Beauty: The attractiveness of a piece provides important motivation. These are all traits of the artisans we work with. It may seem easy from the outside, but it is very complicated to do! Artisans' life is hard. No work no pay, no pay no rice and fish." Elevita is very grateful to Flor for all her efforts. We are committed to promoting this enterprise so that the women and families involved will have "pay, rice, and fish!" This is one of the many artisans Florita is guiding through the creative process. Meet Rosalia Dolorias, our newest artisan and one of the 4.1 million people displaced last year by Typhoon Yolanda in the Philippines. Rosalia Dolorias is a 32-year-old mother of 5 children. Her husband is a construction worker. 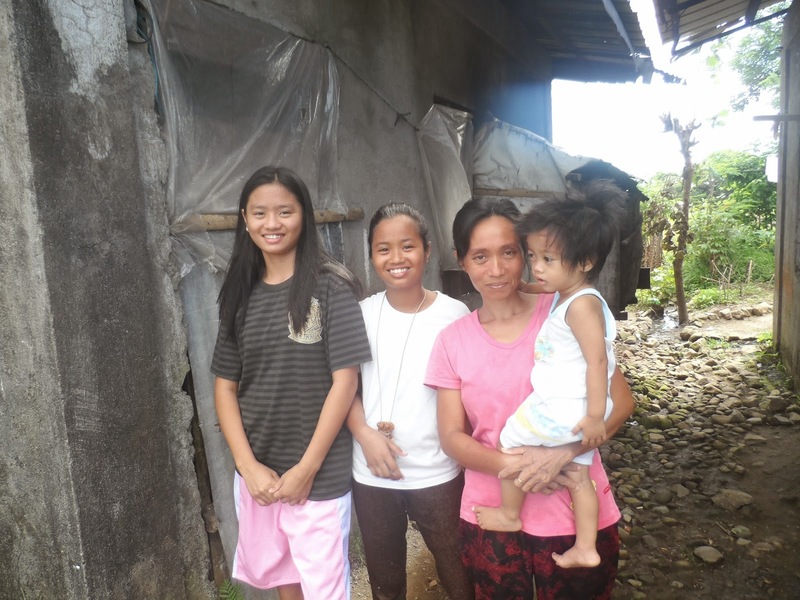 Like more than a million others, they lost their home during typhoon Yolanda and have recently relocated to start again. 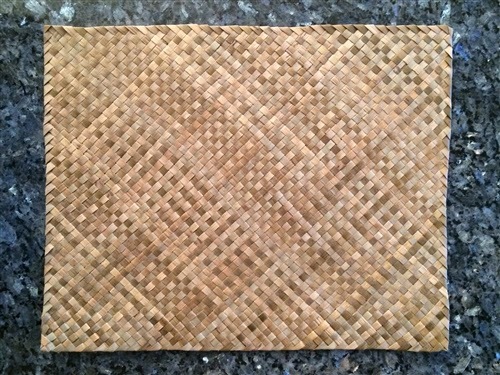 Rosalia makes beautiful placemats out of natural fibers that she hand weaves. The supplemental income Rolsalia receives from her craft is a tremendous help to their family as they begin their new life. Elevita is delighted to have Rosalia on board as an Elevita Artisan. This year for Father's Day I made a donation in your name at Elevita.com. Because it will directly help needy children in the Philippines receive an education, I believe this is the best gift I could possibly get for you this year. 4) Let Elevita take it from here! We will send your special person an exquisite hand-painted card with your explanatory text beautifully handwritten inside. It is always eye-opening to see the kind of economic challenges our artisans face. For example, here is a rough idea what local things cost in the rural Philippines so you can see where a low wage earner's income goes. A village girl or boy brought to work as a housekeeper can be paid as little as 0 to 50 pesos per day. A village girl of boy working in the rice fields make as little as 15 pesos per day. Most employers of fast food restaurants and supermarket chains only hire people for 5 months and then release them so that they don't have to pay out full-time benefits. Elevita.com pays our Philippine artisans a fair trade wage for their work to ensure they have a living wage to support themselves and their family. We also support their efforts to grow and develop their enterprise so as to create additional jobs at fair wages for others. In addition, we currently provide scholarships for 4 young women to attend secondary school or college so they they will have greater economic opportunity in their future. Your purchases from and support for Elevita.com makes all of this possible. We couldn't do this without you! How far that little candle throws his beam! So shines a good deed in a weary world. 6 years ago, Kirsten Monson joined her husband on a business trip throughout India and southeast Asia. In each country she fell in love with the beauty of the land and the people. She also saw so many struggling with poverty and lack of education and opportunity. She asked herself, "What can I do to help" and soon came up with the idea for Elevita -- an organization where marginalized artisans can help themselves by selling their products on our website and by developing sustainable enterprises and educational opportunity for their children. While Elevita may be a little candle in the grand scheme of things, we are working hard to make a difference for those who we can reach. 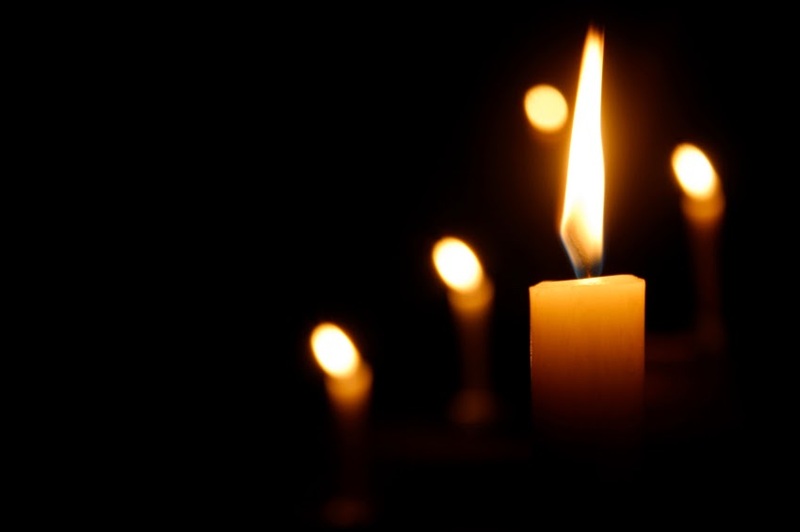 We are grateful to all of our supporters who have help us shine a good deed in a weary world. and ask your friends to like us on Facebook too. 3. 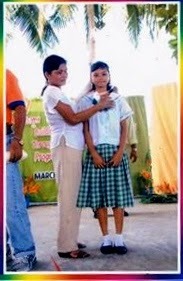 Help us educate youth in the Philippines! 5. Help us grow. Help us reach a broader audience; Write an article about us; Sign up to receive our Newsletter; Tell your friends about us; Do your gift shopping on Elevita.com -- make your purchases do a world of good. Elevita entrepreneur Florita Escandor recently came in contact with a young girl who was anxious to get an education and to work out of the cycle of poverty that is now gripping her family. 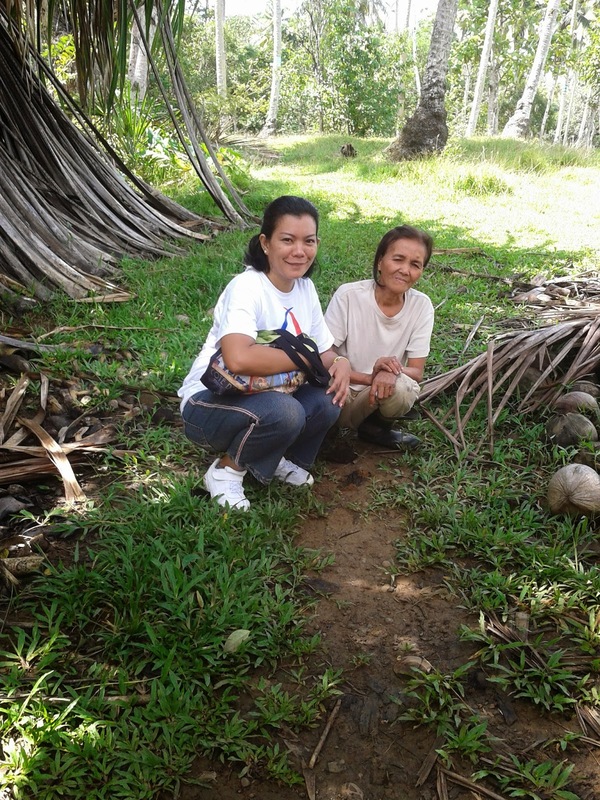 Florita offered Mariel a place to live in exchange for help with the Capiz Shell Enterprise, and then requested a grant from Elevita to cover school supplies and fees. 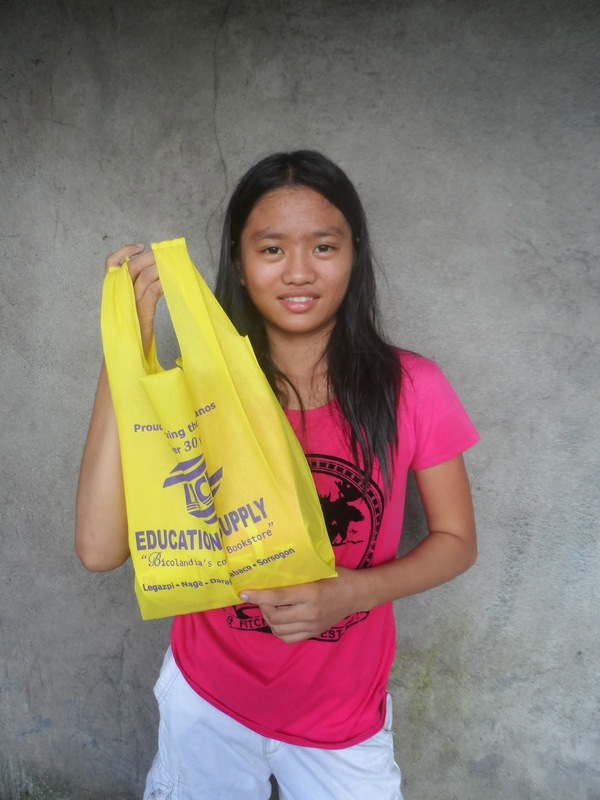 Below is a photo of Mariel at home with her family, followed by a photo of her proudly holding up some of her new school supplies. We look forward to continued updates on Mariel's progress! 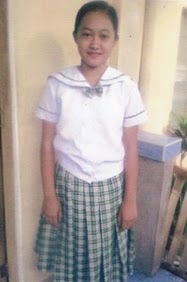 Jeanette Josol is a hard working and dedicated student whose education is sponsored this year by Elevita thanks to our partnership with BELIEVE International and your generous support. Jeannette loves school. She is always active in class discussions and wants to become a teacher. She is determined to finish her studies and help her family have a better life. 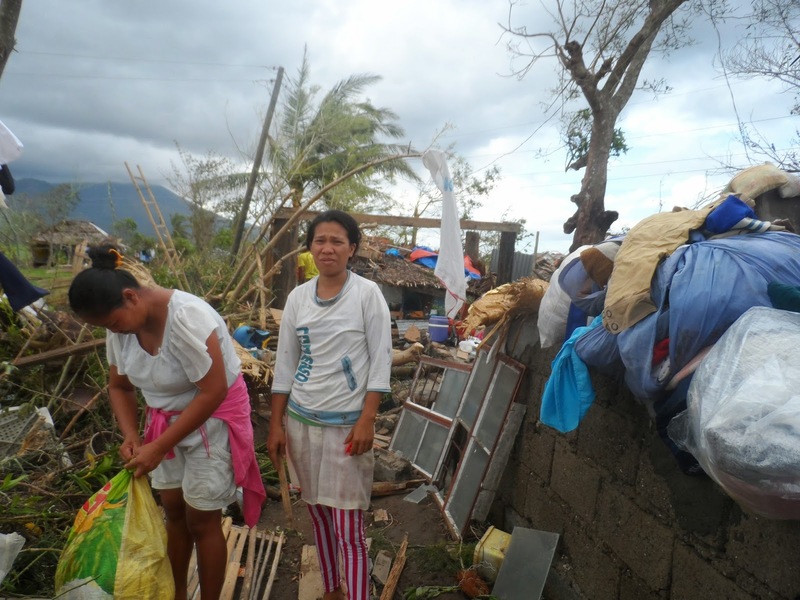 She recently wrote to us about surviving last year's typhoon. Her strength and positive attitude is an inspiration to all of us at Elevita. In school Jeanette likes science and group activities. She also enjoys reading and listening to Korean songs. Jeanette and her younger brother live with their parents. Her father is a carpenter and earns $7.00 a day when he has work. They live in a house made of Nipa leaves and bamboo and a dirt packed floor. When you buy a gift from Elevita.com or send in a contribution, your support does a World of Good. Just ask Jeanette! By networking with the humanitarian arm of the British Embassy in India, Elevita was able to establish a connection with Support Foundation, a charitable trust created to work with people who suffer from mental and physical disabilities. In Indian society, the handicapped are associated with great stigma, and it is therefore very challenging for them to find any work or acceptance in their communities. Support Foundation seeks to spread awareness and fight discrimination within society by enabling disabled people to become self-sufficient and lead dignified lives. The Support Foundation also operates an ongoing project called "Support Shop," which is an effort to provide a bridge between children with mental and physical disabilities and the society. The Support Shop sells beautiful handmade paper products which are decorated by children with special needs. As the revenue from these sales goes directly to the support of these children, Elevita is eager to help promote Support Shop products at Elevita.com. In addition to the financial aid this partnership will provide, there are also countless intangible benefits to the children, such as a platform to show their ability and a tremendous feeling of self-worth. Look for the Support Foundation's handmade stationery and notebooks to be available on Elevita.com in the near future! In her first year of high school Mariefel was #2 in her class. She placed #2 in a district level Math Quiz Bee, #2 in a Scientific Competition, and #2 in a grade school district Science Competition and was a class Sergeant at Arms. She also participated in a Math Teachers Association of the Philippines (MTAP) activity. Her class adviser reported that she can lead others and do tasks given to her with little supervision. Goals: Mariefel wants to be a successful engineer. Favorites: In school, she likes math. Her hobby is studying. Her favorite food is Lumpia Shanghai (an egg roll filled with meat). Family: Mariefel lives with her parents and younger brother. Income: Her father is a motorcab-for-hire driver earning $1-$2 per day. Housing: The walls of their home are made of nipa leaves, bamboo, hollow concrete blocks, coconut wood, and tin sheets. Mariefel's determination to improve her and her family's life through hard work and education is an inspiration to all of us at Elevita. 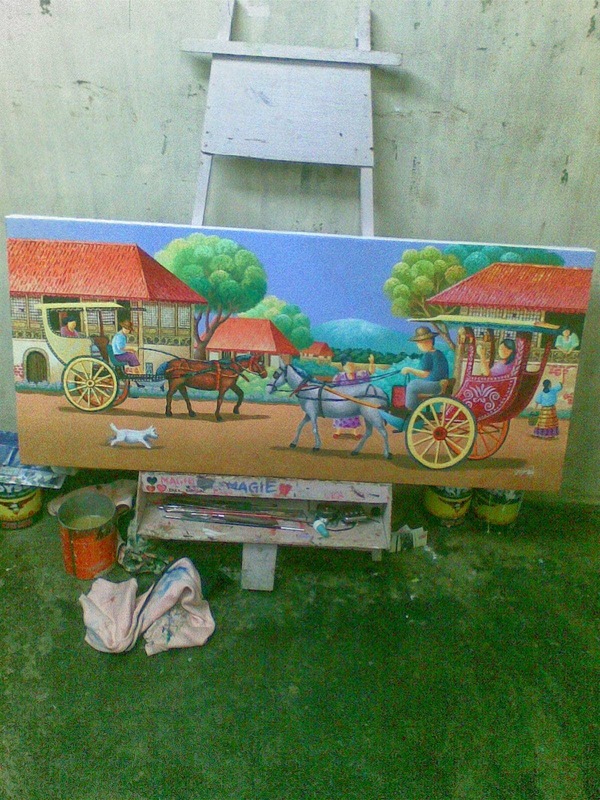 At the young age of 19, Margarita Cajumban is an amazingly skilled painter. She continues to paint to put herself through school. Her most recent work is pictured below and is for sale. If you are interested, email info@elevita.com. Though difficult to tell from the photo, Margarita uses vibrant color and captivating texture in her painting. She describes this piece as "the style of pointillism in the old tradition of the Filipino." Elevita congratulations Margarita on her continued success! We are so proud of Florita Escandor, director of the Elevita-sponsored I Reach Out Cooperative, for utilizing this native art to create a livelihood for so many. Our mission is to alleviate poverty worldwide by helping artisans in developing countries find a greater world market for their products. We use 100% of the profits from these sales to fund meaningful humanitarian projects, especially in education.